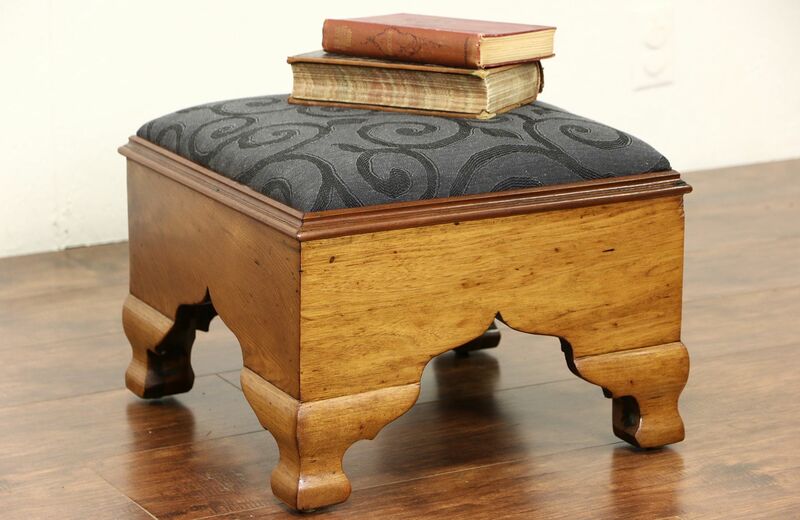 Carved of solid butternut about 1940, an American Empire period footstool has been newly upholstered. The restored finish is in excellent condition, preserving just enough mars and dings for a little antique character. This hand hewn furniture measures 16" sq by 12" tall.